Today we mixed up some Abracabra sculpting epoxy to work on a customer's project. 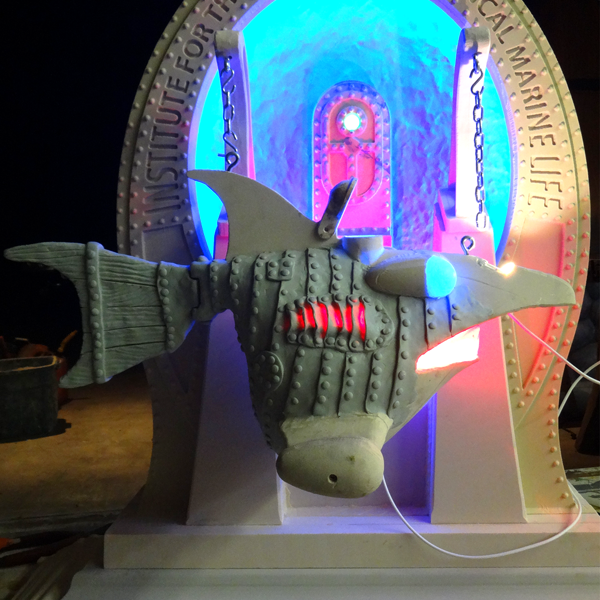 We had a little left over and rather than waste it I spent a little time sculpting the first of the detail on the mechanical fish. I was going for a grundgy, industrial look with plenty of rivets of course. This fish has seen some hard service and is no pristine showboat.